Anything can happen in a New York minute. The Peace Arch News is reporting that "One man is dead after a shooting incident in the parking lot of the Junction Mall in Mission. Mission RCMP and IHIT are on scene but few details have been released. The incident occurred just after 9 p.m. on Wednesday, Oct. 3 near the SilverCity Mission Cinemas. RCMP have confirmed that shots were fired, and a man is deceased, but the investigation is still in the early stages and no other information is being released at this time. The suspect is not in custody." "One witness at the scene said he heard four loud shots and then saw a vehicle quickly drive away. According to the witness, the vehicle then circled back towards the original shooting scene, a gun could be seen sticking out of the window, and three more shots rang out." Update: The Chilliwack Progress is reporting that the Mission victim was Varinderpal Gill, 19 and was involved in the gang conflict. A Honda Pilot SUV was set on fire shortly after the shooting. BC Local News is reporting that "Vancouver police say a man is seriously injured after a targeted late-night shooting in the Downtown Eastside Wednesday. Officers received several 911 calls about shots fired near Carrall Street and East Pender around 11 p.m. 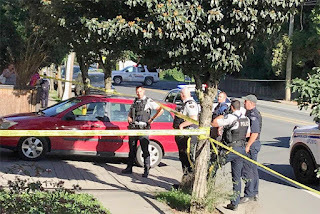 When they arrived, police found a 46-year-old Vancouver man who had been shot. He was taken to hospital with serious injuries. No arrests have been reported." That's edging towards Chinatown. The Richmond News is reporting that "Homicide investigators have been called in after a woman’s body was found in a Richmond city centre home in the early hours of Thursday. 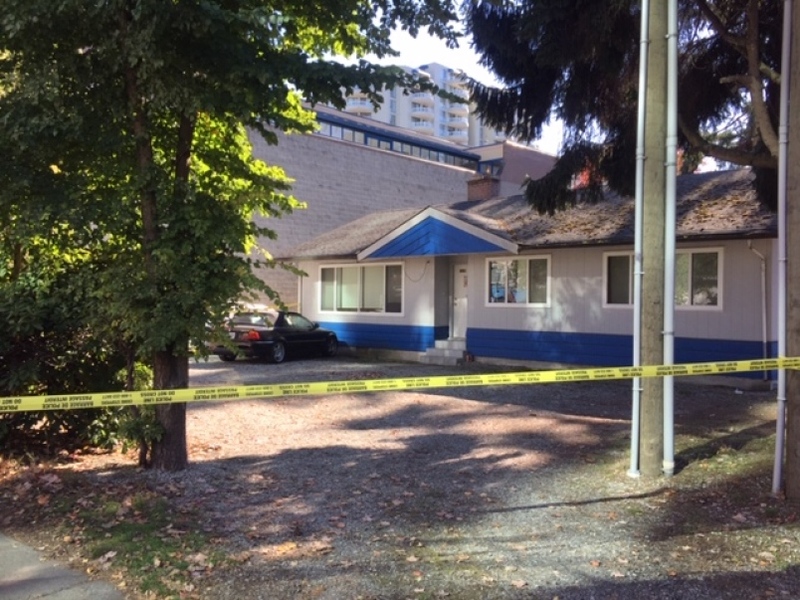 Shortly after midnight, Richmond RCMP was called to an older-style, detached home on the south-west corner of Westminster Highway and Minoru Boulevard for the discovery of a body. The body, according to police, is that of a deceased female and her death is considered as suspicious." Update: CBC is reporting that the woman has been identified as Aspen Pallot, 19. Solaris Onatta Running Dey, 23, was arrested nearby shortly after her body was discovered and has been charged with manslaughter. Weird. The kid looks like a nerd from Big Bang theory. . The Chilliwack is reporting that "One person is dead following a shooting in the Yale Road and Menzies area of Chilliwack Thursday afternoon. The homicide teams have been called in to investigate the shooting, which happend around 2:20 p.m." Sh*t be cray yo. Update: CBC is reporting that the Chilliwack victim was Kyle Cromarty, 27. The Peace Arch News is reporting that "Surrey RCMP is investigating reports of shots fired overnight in South Surrey. Police say there were multiple reports of shots being fired in the 3300-block of 194 Street at approximately 1 a.m. Friday (Oct. 5)." Once again, I object to the new digital encrypted radios the police are using to go off the grid from Scan BC. Now we only hear what they want to tell us. It is not good for democracy or public accountability.